Ah…the simple things in life: like this farm box dinner. 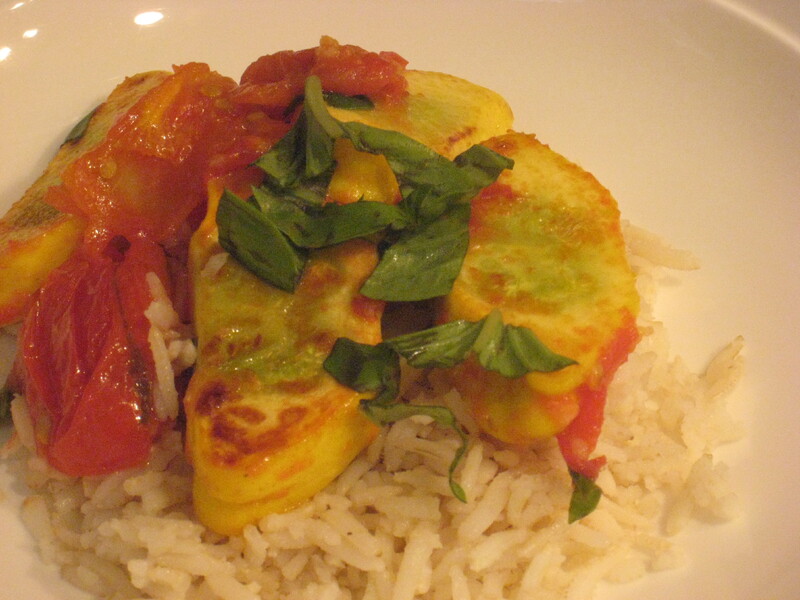 Serve over brown rice and add more fresh basil on top. Enjoy this healthy summer dish!